Restaurant dinnerware is usually not too classy, but is much in demand because it is made to be unbreakable dinnerware (hard to break anyway). It is perfect for restaurants that experience a lot of overhead on dish replacements. 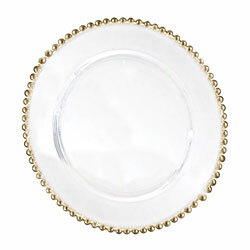 If your family is rough on dishes, you might be interested in this type of dinnerware. If you own or manage a restaurant, you will benefit from tips on saving money on restaurant tableware. It might also be beneficial to see the disposable dinnerware that is available from Dart Container Corporation. My favorite restaurant-style dinnerware is made it France. It is called Apilco Dinnerware and it is well worth looking into. 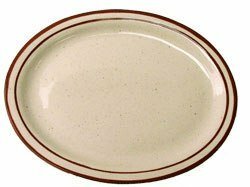 BIA Cordon Bleu Dinnerware is also a reknowned type of dinnerware to be used for catering or in restauarants as is Arcoroc Dinnerware . 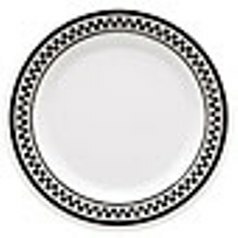 Melamine dinnerware is often used in casual dining rooms. It has some advantages and disadvantages. It is very durable; however, you do need to be aware that products made of this material is not microwave safe. It also stains easily if food is left on it too long. Sometimes it is plain and quite unattractive, but they have started making more appealing patterns. Banded patterns and crockery style dinnerware are very popular among restaurants and as far as dishes go, it is much more durable that fine china. Many restaurant suppliers carry this type of dinnerware that is pretty awesome for a family who is rough on dishes. Arcoroc dinnerware is also designed for restaurants and is a bit more desirable that melamine or banded china. There are many patterns that range from glass dinnerware to porcelain dinnerware. Formal dinnerware can be found in five-star restaurants. It is by no means unbreakable, but is much more durable than other types of fine china that you might purchase for use at home. Most restaurant-style dinnerware is sold by the case of individual pieces. For instance, when ordering you would order a case of plates, a case of saucers and so forth. They are not usually sold as sets. To order from a restaurant supplier, chances are you would have to prove that you own a business; however, some companies will sell wholesale dinnerware to individuals. Most individuals forego this option because they don't need as many dishes as what comes in a case when bought in bulk. Sometimes you can find great prices on restaurant sytel dinnerware from a restaurant that is liquidating.